Keep your recyclables separate from waste with this heavy-duty plastic wastebasket from United Solutions. 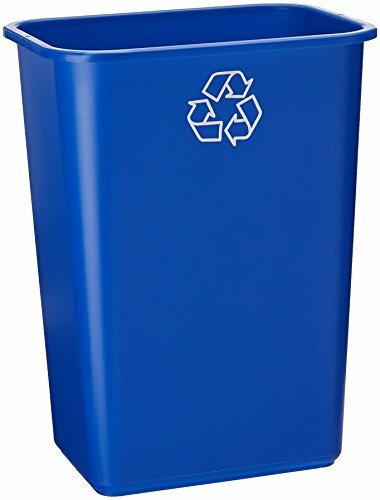 It comes in an easily recognizable Recycling blue color and with the universal recycling logo on the front. This 41-quart size is ideal under the desk or under the sink. Can be used in any area of the home or office where refuse can be separated and recycling can be encouraged. All United Solutions recycling products are made from 75-percent recycled materials. Save our planet. Item No.WB0069.